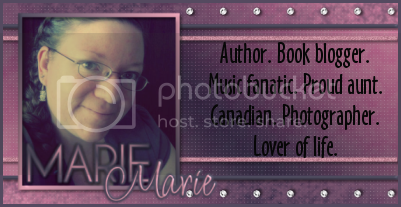 Ramblings of a Daydreamer: Fan Appreciation Event: Sale & Giveaway! Fan Appreciation Event: Sale & Giveaway! I’m going to tell you guys something that isn’t easy for me to admit. WAITING FOR THE STORM, my third novel, isn’t doing so well sales-wise. The few reviews that have come in have been mostly amazing, and all my beta readers loved the book. Most people who have read my other two books agree that WAITING FOR THE STORM is my best one. I think it’s my best work. I feel like I’ve grown a lot as a writer and I’m incredibly proud of this novel. I love Charlotte and Ezra and it’s breaking my heart that so few people are experiencing their story. I’m so incredibly grateful to all the people who have shown support and encouragement over the last year and a half since I published BLUE SKY DAYS. I’ve met some incredible people, and I’ve even been lucky enough to make some wonderful friends. I appreciate every person who buys my books (or requests them) and takes the time to review them on their blog, GoodReads, Amazon, Barnes & Noble, etc. Being an indie author is something I love, but I don’t have tons of money to spend on advertising, and I don’t have a team of people whose job it is to promote my books. I hate asking for help, even though I know the blogging community is generous and will often give help while expecting absolutely nothing return. But...I'm going to ask for help. I need it, and Charlotte and Ezra need it. Besides needing your help, I want to show my appreciation to all the people who have bought my books, reviewed them, hosted me for features, or helped spread the word in any way. How am I going to do that, you ask? With my biggest giveaway EVER. What can you win? Well, there will be TWO winners - one person will win a $25 Amazon gift card and a second person will win $25USD PayPal cash (or if you don’t have PayPal, you can choose $25 worth of books from The Book Depository as long as they ship to you). AND if by some miracle I can reach 50 reviews of WAITING FOR THE STORM on Amazon before this giveaway is over, I’ll throw in another $25 Amazon gift card - that’s THREE chances to win! 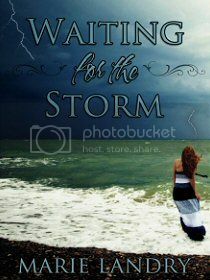 Want to know why you should buy and review WAITING FOR THE STORM (besides the fact it's only $2.99, which is about the price of a cup of coffee)? Because this is a fan appreciation giveaway as well as a cry for help of sorts for WAITING FOR THE STORM, there is a mandatory entry to review the book. Once you've done that, there are other ways to enter, including daily entries to tweet and share on Facebook. Only Rafflecopter entries count. Please don't leave your email address or any other personal information in the comments. All entries will be verified so please be honest! I would love full-length reviews but I understand not everyone entering will be book bloggers who are used to writing long reviews. Amazon only requires something like 20 words for a review, so if you can't write a full length review, you can write whether you liked the book or not and what you did or didn’t like about it. Please note that reviews DO NOT have to be positive to count in this giveaway. I want reviews that are 100% honest, whether you loved the book or hated it. As part of the Fan Appreciation Event I've marked BLUE SKY DAYS down to 99 cents. As of the time of posting this, the price has only been reduced on Amazon and Smashwords, but it should be available everywhere for 99 cents soon. If you don't want to wait, you can buy the book in any format on Smashwords. An author would be nothing without the people who read their books, and I am so incredibly grateful for your support. It's because of you guys that I keep writing and publishing books. I hope to have something new for you all very soon! I will be back at some point with links for you but since I'm texting you now, I think that says everything. OPERATION TELL THE WORLD ABOUT WFTS COMMENCING. PHASE ONE! Let me know what I can do to help - interview/guest post/ spotlight?? ?